Being a Mom is hard work. We are alarm clocks, nurses, referees, housekeepers, taxis, counselors and the list goes on! In my book, it’s Mother’s Day everyday. But when Mother’s Day rolls around and you realize you have less than a week to find something to give, the going gets tough! 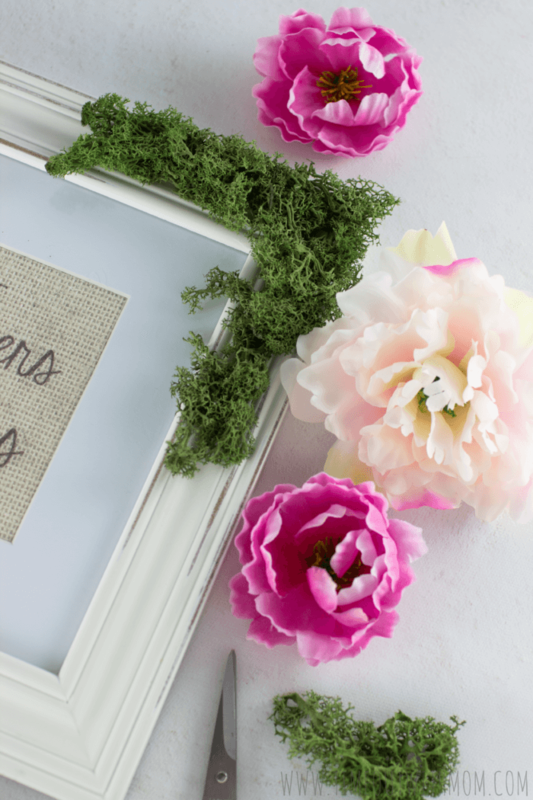 Today, I’m going to show you how you can make this beautiful Mother’s Day Flower Frame in less than an hour and for less than $25! Yes, you read that right!! You can have this frame made in no time. 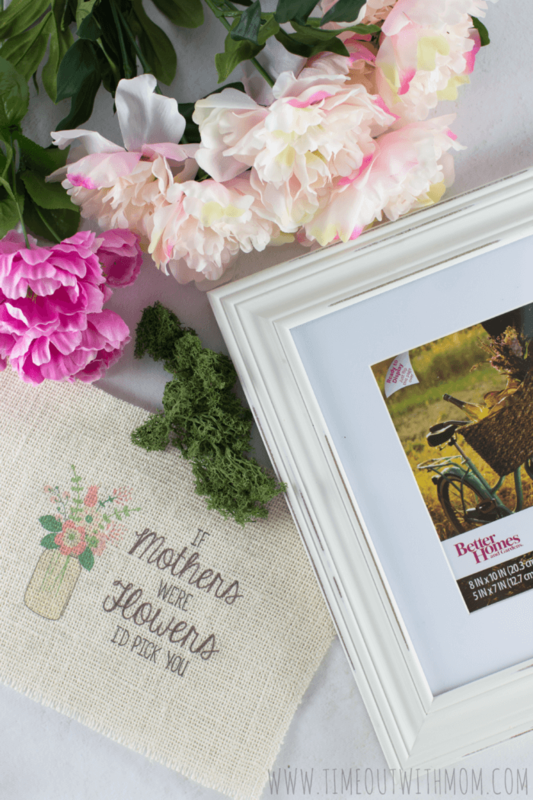 Most of us already have some of the supplies in our homes, so with a quick trip to the store, you can gift this frame, too. Let’s get started! 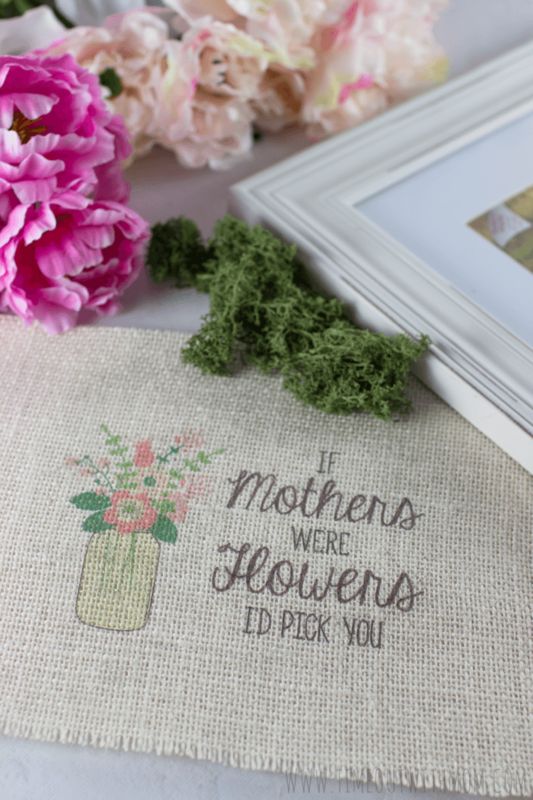 Begin by downloading my Mother’s Day Printable and printing it onto your piece of burlap. If you are not familiar with printing on Burlap, head on over to Domestically Speaking for a quick “How To“. Once you’ve printed on the burlap, trim the sides a bit so you can secure it into place on the mat. I used a few pieces of tape to hold it in, but this is optional. Next, grab your artificial flowers and pull them off of the stems. Clip the small remaining piece off of the back of the flower and set aside. Heat your glue gun and begin adding the green moss around the edge of your frame. I actually found this moss in my local craft store, It’s used for building small villages and train models. I prefer using this kind because it’s soft and looks natural. It’s very easy to maneuver, so don’t be afraid to move things around and spread it out. You can even layer it, if you’d like a thicker border. 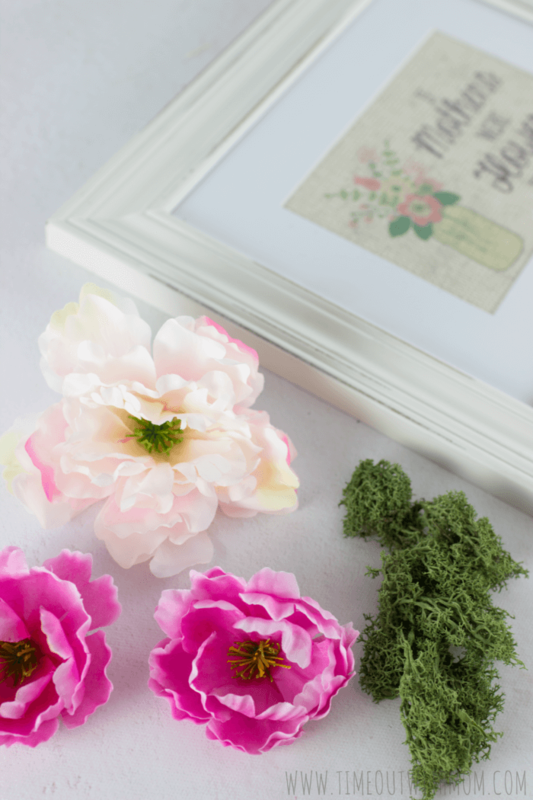 Once you’ve added your moss, hot glue your flowers into place and allow to dry/cool. When you’re done, you’ll want one of your own! I know I did. I absolutely love how this DIY project turned out. 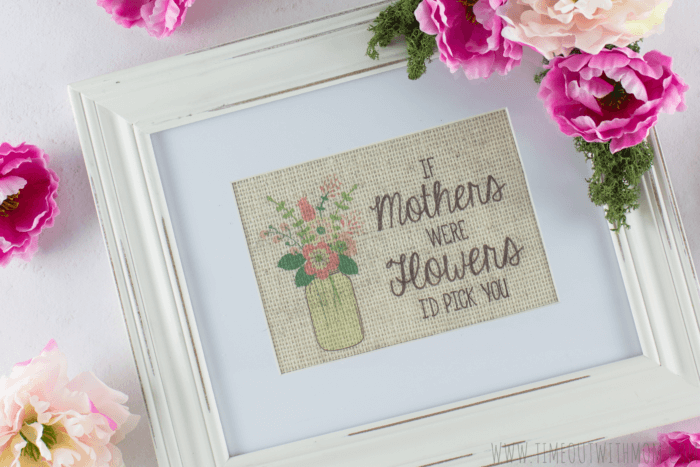 Get creative with yours and let me know what your Mom thought about her gift! Happy Mother’s Day to all my Mommy readers! 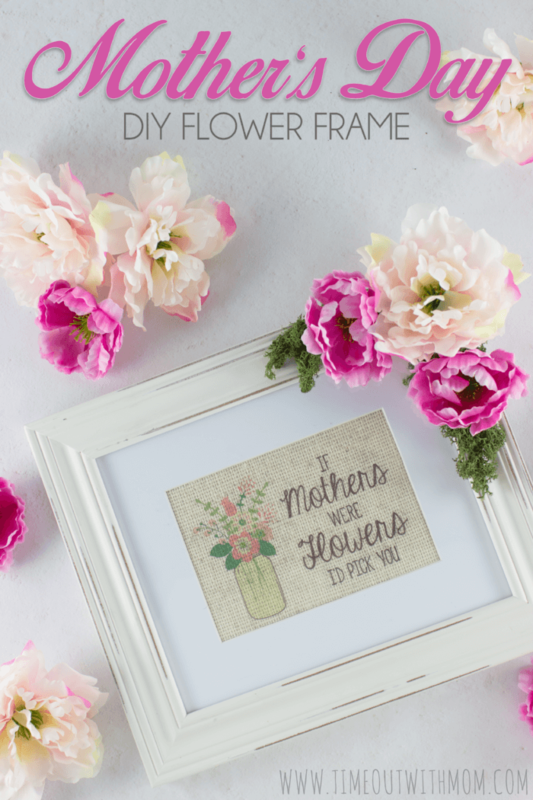 This is such a sweet idea for Mother’s Day! I didn’t even realize you could make something like this at home using a regular printer. Love it!